Reading Fun is a teacher designed website aimed at 4th through 6th grade students from the Appleton School District in Wisconsin It provides links to a wide variety of interactive websites to teach language arts topics online in an engaging manner. Topics include genres of literature, grammar, composition, vocabulary, usage, books and games. 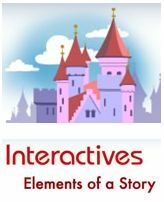 Elements of a Story is an interactive website where students can learn about different literary "ingredients" that make up a story. After watching and listening to an interactive version of "Cinderella," students will learn about various elements that are common to all stories: setting, characters, plot, exposition, conflict, climax, and resolution. Students will put plot developments into the correct order, select appropriate settings and characters, and sort events and exposition. (from website) This site will be helpful for families who chose literature rather than textbooks for the bulk of their reading and comprehension studies in the K-6 years. Storyline Online has a variety of video recordings of children's stories, read by actors and actresses. Books like Stella Luna and A Bad Case of Stripes are included. This would be a great opportunity for students to read along with a famous actor, and complete repeated readings to build fluency. It is just great listening too! Each story has online and offline activities to explore as well. The Reading Eggs is a " powerful educational program is based on the most up-to-date research on how children learn beginning reading. The lessons use animation, activities and reward games to keep children motivated. When children start the program, they can complete a placement quiz to ensure they are starting at the correct reading level." (from website) Some of our moms have found it very helpful. this website is based in Australia and cannot accept our purchase orders, so we cannot purchase it for families but we encourage you to use it. Is a free website where children can enjoy narrated beginning reading and phonics lessons and interactive activities It is a nice supplement. 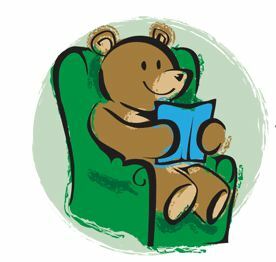 Check out Reading Bear. A great online drag-and-drop writing activity for emerging readers. The home page is here. A sample page for readers of short /a/ words is here. An example of the screen is at right. We Give Books is a great site which allows students to "Read a book, Give a book." Combine the joy of reading with the power of helping others. The more you read, the more books the website shares with children who need them. New releases, popular books and classics are available to read online for free. Your child can help others just by reading! At Eager Readers families can find a great annotated selection of book for the eager and "not so eager" reader, created by a large family of avid readers looking for books of quality and delight. Books can be sorted by genre and age. 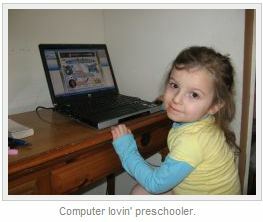 Websites for the youngest readers This site reflects the findings of a mom of a young student who went on a quest to find "websites with quality educational content and entertainment value."